The man who created the smash hit Death Note, Tsugumi Ohba, shifts from the supernatural genre to take on a more realistic approach to Shonen. Ohba writes much closer to home by creating a story about a team of young men who are trying to become Mangaka and, ultimately, have their manga turned into an Anime. The product is both an entertaining look into the workings of the Japanese Manga industry and the attempt to apply the Death Note narrative structure to a seemingly mundane subject. Certainly some credit should be given to director Kenichi Kasai for translating those elements so effectively to animation but the perfection of the Shonen style lies with Ohba. Each new challenge that Mashiro and Takagi has the same feeling that Bleach or Dragon Ball would have except instead of an epic fight scene we get scenes of two guys drawing. That is the true beauty of Bakuman; it is an elegant story that takes the audience on a ride through an artist’s life while they try to get a foot in the door at the big manga publishers and it feels as exciting as a Shonen action show. The energy and drive of the main characters are inspiring, one will find it hard not to buy in to the suspense at each turn from the sheer fact that you want to see these characters succeed. 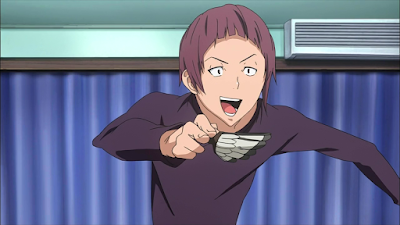 Bakuman’s characters are the vehicle which audience sees the world. An exceptional narrative trick that Bakuman achieves is to present the world through the eyes of the main characters including their own personal misconceptions and bias’. Eiji Niizuma, a genius mangaka who becomes the youngest person ever serialized, is perceived as a rival for most of the series, a hurdle that Mashiro needs to overcome. However, once Mashiro spends a good amount of time with Niizuma he comes to realize that his rival is not superhuman but just another young artist with failings of his own. 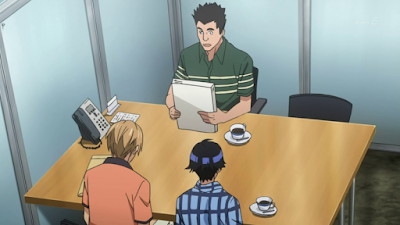 At that point the concept of the “rival” in Bakuman changes and the artists that Mashiro has met at that point become comrades, able to exchange information and help each other improve. The true rival is the self, honing and refining ones craft is the way one will win in this world and the concept of the prodigy Mangaka is dismissed, at least in the first season. The characters also work as an audience stand in, as they learn about the process of creating manga so does the audience. Again, entering the world of Manga publishing feels extremely Shonen but instead of a fantasy world what the audience is getting is a detailed look into the world of manga publishing. I’m glad that Ohba decided to frame the story this way because while manga fans in Japan might know how the big magazines work I find myself learning a ton by watching Mashiro and Tagaki go through the process. The fact that Shonen “Jack” relies on reader’s questionnaires is, for example, a specific detail of Manga publishing that is just second nature to a Japanese manga fan yet I had no idea such a thing existed, and of course didn’t realize that questionnaires can make or break a mangaka. Bakuman treats them with the life or death gravity that any young artist would feel when awaiting rejection. With so much good in Bakuman it is disappointing to say that what Bakuman does wrong almost distracts from the quality. The romance between Mashiro and Miho is laughably bad, so unrealistically bad. It’s designed to fit into the world of Bakuman where success as a Mangaka should lead to all rewards. One of those rewards is love, and while this does fit into the Shonen structure there is a sense of realism to Bakuman that makes it feel icky at the same time. In Bleach, Ichigo having to become a better fighter to rescue Rukia feels right, but having Mashiro’s success as a Mangaka deliver the girl of his dreams into his arms feels cheap, misogynistic, and crushes the realism of the show. The portrayal of women in the show as a whole is weird, as I’ve written about previously all accusations of misogyny are for good reason. There is a general sense that men have their goals and women are required to support them, because they can’t fully understand men’s dreams. It’s repulsive. 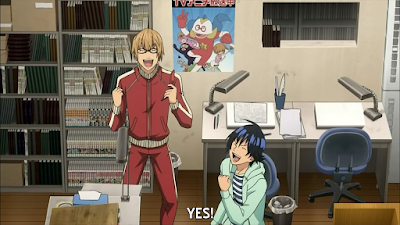 Even with the romance souring a good third of the show there is still a lot to like about Bakuman. The application of the Death Note formula to the mundane story of two upcoming Mangaka is exceptional. Ohba has made his own life, in the eyes of Anime and Manga fans, a roller coaster of disappointment and joy. I’ve also learned more about how the comics publishing industry in Japan works from watching this one show than in ten years of being an Anime fan. Any fan of Japanese animation, especially Shonen, will love Bakuman as long as they can get passed the uglier elements of the narrative. The audience learns about how Manga publishing in Japan really works. Mangaka as Shonen heroes structure is brilliant. 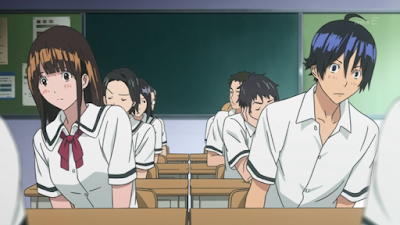 Bakuman is often criticized for its misogynist undertones and from the first episode it was clear that the show’s portrayal of women was odd. But what is the source of Tsugumi Ohba’s low opinion of women? I believed that the Misogynist vibe in Bakuman is rooted in the Japanese work ethic and comes from the intense pressure to succeed. 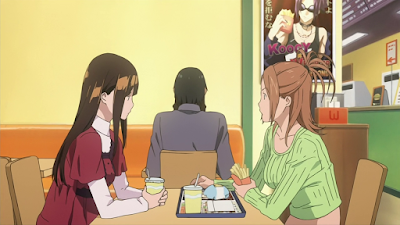 The success of Mashiro and Miho’s relationship in Bakuman is dependent on their individual career success. 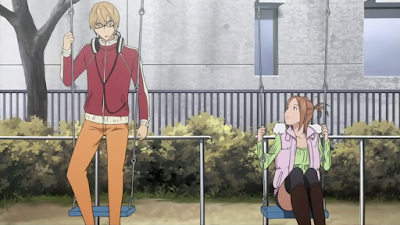 In essence, Bakuman is removing the emotional element from relationships and basing them on status alone. While that is true at the core of the problem it seems that the blame may rest directly on the author. Women are portrayed as obstacles in the path of men who are trying to reach their goals. In the most direct sense, Moritaka’s mother refused to allow him access to his Uncle’s studio and refused to accept his dream of becoming a Mangaka. It was his Father and Grandfather who stepped in and insisted that he be allowed to pursue his dream, telling the mother that some things “men have to do that woman can’t understand”. This applies also to romantic relationships and why Miho is set up as the ideal woman. Miho also has a goal she is trying to accomplish, and no other woman in the series seems to share her values. She wants to put off their relationship knowing that it would get in the way of her dream of becoming a voice actress. The “normal” girl is shown during a scene when a young girl chases her boyfriend to the roof chastising him the entire way for changing his High School of choice. She is upset because they won’t be together. This is what Ohba sees as the normal girl, chasing after a boy and having no goals of her own. The action of the young man is what the author acknowledges as the correct choice, personal progress over romance. 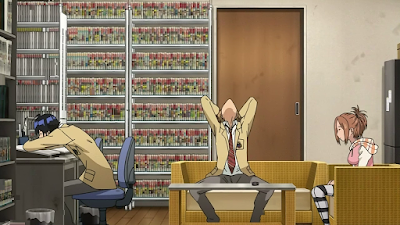 What becomes the enemy in Bakuman are laziness, sloth, and complacency. Relationships are portrayed as wastes of time and energy. Moritaka doesn’t have time to go see a movie because he uses every bit of his free time perfecting his skill as a mangaka. Akito’s relationship with Miyoshi becomes the model for what relationships can do to one’s time, energy, and goals. At the start of their relationship she constantly tries to take Akito away from his work in order to go to spend time with her. Most of the time Akito refuses and Miyoshi is left upset, but slowly she begins to understand what Akito and Moritaka are trying to do. Unfortunately, this leads to the most condescending portion of the series. Miyoshi becomes jealous of all her friend having goals except for her, so she decides one day she is going to be a writer. Her decision comes from the desire to fit in; the group has Mangaka and a voice actress but no prose writer; not from the desire to actually become a successful writer. She decides to write Miho and Moritaka’s story instead of coming up with an original idea and not knowing where to begin she enlists Akito for help. Instead of Akito working on his own story, he ends up helping Miyoshi with her romance novel and, in fact, writes the whole thing. She becomes excited for herself when the first part of the novel becomes a success and takes all the credit. Miyoshi displays no personal motivation; she enjoys the end result of hard work. She is the antithesis of Miho, Moritaka, and Akito. The dream ends when Akito refuses to write the next part of ‘her’ successful cellphone novel. She tries but quickly gives up writing it herself, changing her dream to be the same as Akito’s dream. Her ‘goal’ in life becomes that Akito and Moritaka become famous Mangaka, showing she has no aspirations of her own and has to live in the shadow of her boyfriend. After Miyoshi realizes she almost broke up her boyfriend’s team she goes from being bitter that Akito doesn’t have time to spend with her and jealous of Moritaka and Miho’s dream, she gives up and becomes a cheerleader for them. She is content to be in the background getting tea and making meals for the hard-working Mangaka. She is happy to fall into a domestic role after Akito promises to marry her, which reveals her only true aspiration to be marriage, everything else being a method of getting Akito to notice her. Miyoshi’s role in the story says a lot about Ohba’s view towards women. It is comparable to his Death Note character Misa. Misa initially begins her own Death Note fueled rampage in order to get Kira’s attention, but once Kira pretends to be in a relationship with her she becomes completely obedient to him. 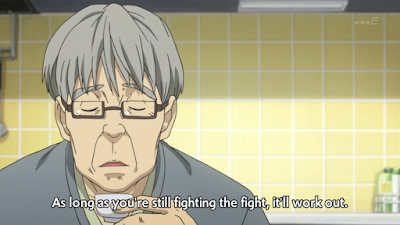 Akito’s mother also follows this pattern, while she is a successful school teacher her husband losing her job breaks her, almost cripples her emotionally. She decides to channel the disappointment in her husband into her children, pushing them hard so they don’t fail. Instead of picking herself up and focusing on her career, she relied on her husband to create a stable household. It seems that Ohba’s view on women is that they only show initiative to attract men. The obvious way this is portrayed in both Death Note and Bakuman suggests this might be a conscious bit of social criticism; however it is more likely that he just can’t write female characters in any other way. Nothing is known about the Mangaka’s personal life, if he is married or in a relationship, the most the public knows is that he collects teacups and “develops manga plots while holding his knees on a chair.” Whether his opinions on women come from bitterness or ignorance may never be answered definitively but the blankly negative female character he has written makes the answer a bit obvious. There is, of course, one exception to his negative female characters. 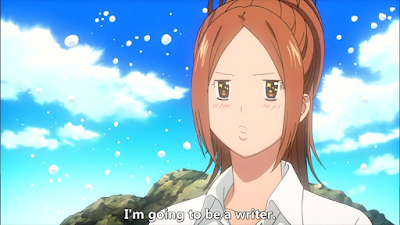 The heroine of Bakuman, Miho, is written as the ideal woman. I’ve already stated some reasons why Miho is the ideal woman in the series. I will restate some of that and build on top of it here, because Miho is the antithesis of every other woman in Bakuman, for positive and negative reasons. Unlike the other women in Bakuman Miho actually has a personal goal, she wants to become a voice actress and even though she is meek and shy she is pushing forward with that dream no matter what it takes. In that respect she is equal to Moritaka and superior to any other woman in the show. She is the ideal girlfriend in that she stays out of the way, she doesn’t ask to be taken out, and she doesn’t get involved with Moritaka’s business. She remains on the sidelines as a silent cheerleader. She only contacts Moritaka when she actually has something to say, mostly congratulate him, and she never brags about her own accomplishments. She is also extremely loyal and in love with Moritaka without any real reason to be loyal or in love with him. She is his fantasy girl and all he has to do is become a Mangaka, which was his childhood fantasy, and she will marry him. Bakuman is about a Mangaka, and in order to be happy the Mangaka has to create a successful manga. It is clear that Miho is the ideal woman for Ohba and that every other woman in the series represents Ohba’s narrow view of woman and that he, as a successful mangaka, should have found true love. While it is unusual to make assumptions on the author’s personality from a piece of fiction I think Bakuman is an exception. It is, after all, a story written about Ohba’s profession that combined with the consistency of his female characters. 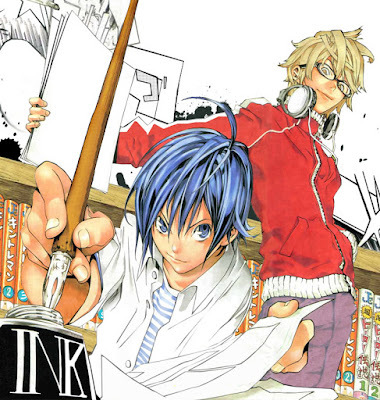 Bakuman is the result of an author constructing a fantasy in which he can be the hero and get the girl as an author. If we take the experiences of Akito and Moritaka as true reflections of Ohba’s life; working to become Mangaka to the exclusion of all else; Ohba might be the teacup collecting lonely writer that his only existing bio makes him out to be. To the end Bakuman is the fantasy of a man who has dedicated himself, with the vigor of a Japanese businessman, to his art and never had time to find someone to love.